HongKong International Terminals Ltd., the city’s biggest container-terminal operator and part of Li’s CK Hutchison Holdings Ltd., is freezing salaries for all its staff this year due to rising competition and the U.S.-China trade war. 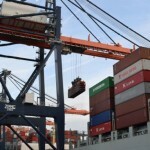 It has also formed an alliance with rival dock operators in Hong Kong in a bid to cut costs. Drewry Shipping Consultants Ltd. said Hong Kong had been among the world’s five busiest container ports since 1979, when the company first started compiling the data. But the city probably slipped two notches to seventh place in 2018, overtaken by neighboring Guangzhou and South Korea’s Busan, based on 11-month and full-year data from port authorities. China’s Qingdao could be next to surpass it this year. Hong Kong owes its existence to its port — the sheltered, deep water “fragrant harbor” that fostered the city’s breakneck growth for more than a century as the gateway for goods into and out of China. As recently as 2004 it was the busiest container port in the world, with boxes full of manufactured goods fed to its wharves by trucks, barges and coastal ships from cities in China. But since then Hong Kong has been overtaken by one Asian port after another, mostly on the mainland, as local and national governments invested in new facilities for bigger ships that could carry goods directly to markets around the world, without the need for transshipment in Hong Kong. 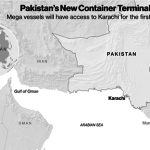 In 2004, Hong Kong filled more than 150,000 vessels. 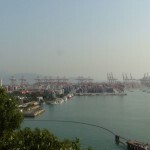 That number has now almost halved, and container traffic at the port has fallen every month since April for an overall decline of 5.4 percent last year, according to the Hong Kong Maritime and Port Board. That compares with an increase of 4.4 percent for Shanghai and 5.8 percent for Busan in 2018, and a 7.1 percent gain for Guangzhou in the first 11 months. An entrenched trade war could accelerate Hong Kong’s decline if Chinese companies move more production to other countries that are closer to rival transshipment ports like Singapore or Port of Tanjung Pelepas in Malaysia. The company agreed to form an alliance with Modern Terminals Ltd. and two other operators to jointly manage and operate 23 berths at the main Kwai Tsing terminals. 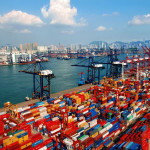 While much of Hong Kong’s decline has come from the development of bigger and better facilities in cities along China’s coast — led by Shanghai, which has been the world’s busiest container port now for nine years — other ports in the region have managed to keep pace. Singapore, which once went neck and neck with Hong Kong for the top spot, now handles almost 50 percent more containers than before, while South Korea’s Busan increased its volume over 80 percent. Singapore has added more berths and set up ventures to operate terminals with China’s Cosco Shipping Holdings Co. and Ocean Express Network to bring in business. 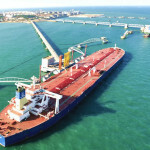 Busan said in March that it is cutting port fees and providing funds for shipping lines that bring in more cargo. Meanwhile Hong Kong has been hamstrung by years of debate over how and whether it should enlarge its port facilities. It’s been more than a decade since the city began studying the need for a 10th terminal. A preliminary feasibility study on the the new facility was made in 2014 and a development plan followed in the same year, but no steps have been implemented. 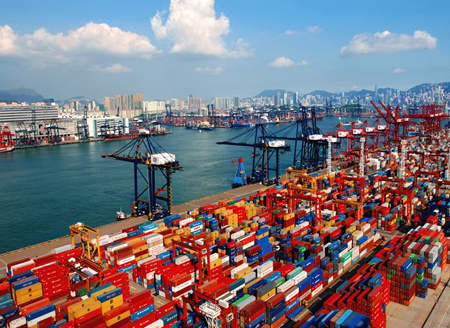 Hong Kong’s container terminals are operated by private companies that have no government links, such as Hongkong International Terminals as well as Modern Terminals, which counts Wharf Holdings Ltd. as its biggest shareholder. In China and Singapore, most operators are connected to or supported by the government. “The Hong Kong government attaches great importance to the maritime sector,” the Transport and Housing Bureau said in an emailed response to Bloomberg News. The government announced recently a package of measures to support the industry, including tax plans to foster the ship-leasing and marine insurance business, it said. Han Ning, China director for Drewry, said the rise of ports on the mainland and the move toward bigger vessels that prefer direct services rather than transshipment mean that Hong Kong may have missed the chance to catch up. Instead, Hong Kong has turned to other industries such as financial services to drive the territory’s wealth. Finance and insurance accounted for 19 percent of the country’s gross domestic product in 2017 and property 11 percent, while transportation was 6 percent, according to the Census and Statistics Department. As the city gradually reclaims more and more of the natural harbor that fostered one of the world’s great trading centers, Hong Kong’s port is unlikely to ever catch up and recover its position as one of the five busiest in the world.